The intention, at the end of the 1950s, was to buy a residence for the consul-general, whose consular predecessors had all lived in leased houses. The purchase of one house, at 152 Rua Todos os Santos, was aborted at the last moment in 1960. By then, the development of Brasilia as the new capital was beginning and it was expected, as MPBW architects etc would be visiting Brazil regularly anyway, that it would be altogether simpler (in the perspective of the time) for MPBW to design and manage the construction of a new residence in Sao Paulo, with the assistance of a local executive architect. To this end, a site of 1,500 square metres at 171 Rua Ararapina in Cidade Jardim Guedala was bought in July 1961 for about £11,000, with the intention of building on it fairly soon afterwards. 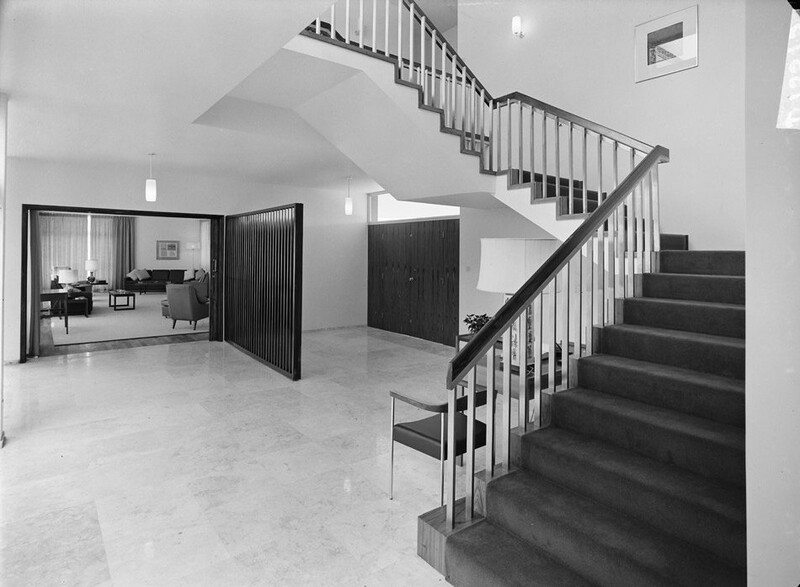 It was not until 1965, however, that the new house was completed, at a cost of £112,000. It was named Madero House. 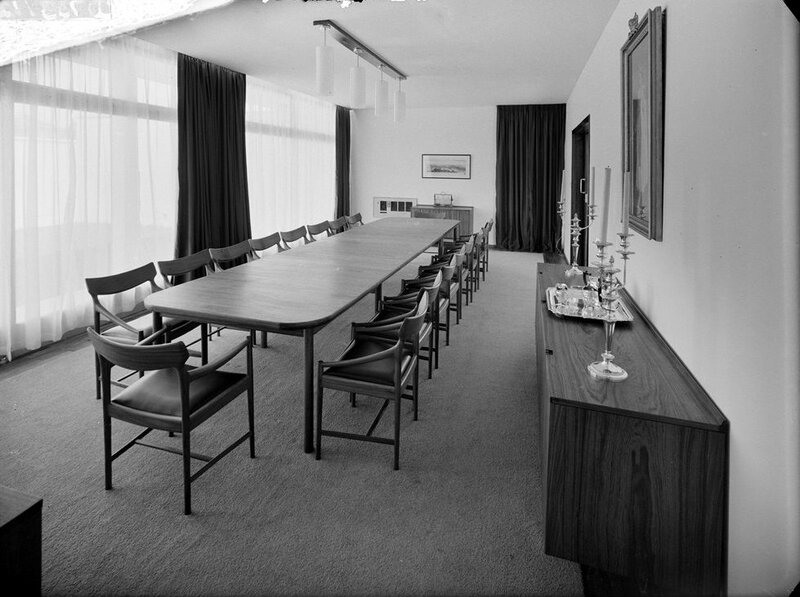 Office space was leased in the Edificio Sul Americano building at 1938 Avenue Paulista from 1967 until 1995, when it moved to 37 Avenue Paulista. It moved to the Brazilian British Centre at 741 Rua Ferreira de Araújo in 2000. 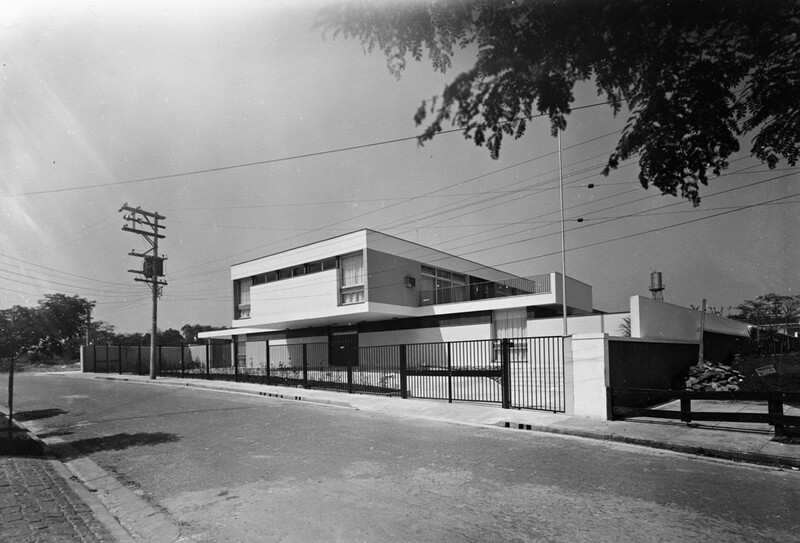 This building had just been completed by the Cultura Inglesa Sao Paulo to house all the organisations and activities related to trade and culture between Brazil and the United Kingdom under one roof. Street frontage of residence, 1966. 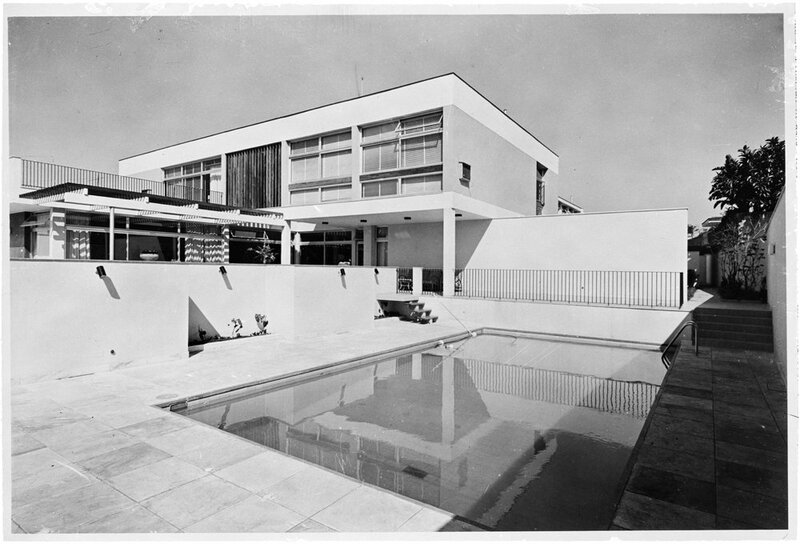 View from swimming pool at rear, 1966. 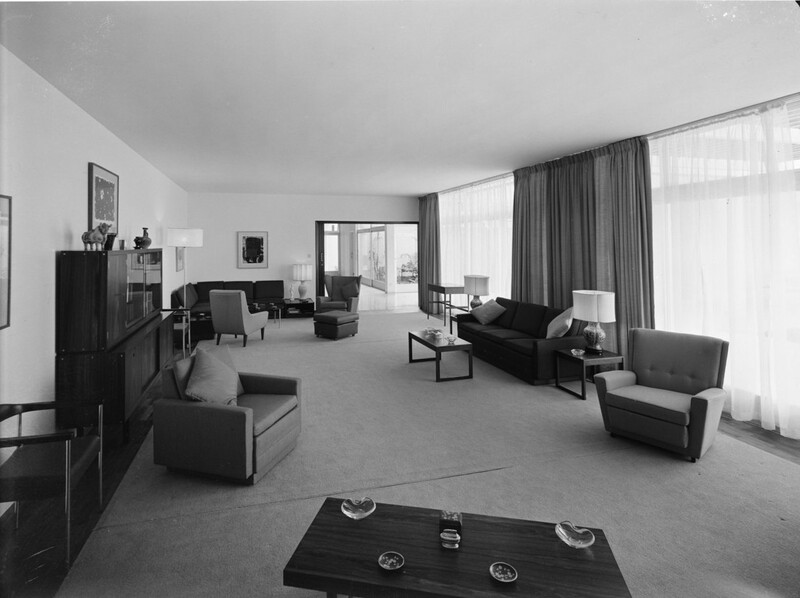 Hall, looking through to drawing room, 1966.